Getting a security system is one of the top home security tips to ensure your house is protected from burglars and other scrupulous individuals. But ironically, your home security system can also be susceptible to privacy and security attacks. This isn’t exactly surprising; after all, anything connected to the internet can become a target of hacking, no matter how remote the chance. For instance, according to reports, an experienced hacker can gain control of your security camera by being within distance of the wireless network you are using for your camera. For there, the hacker can just guess your password or spoof your wireless network. Secure your passwords and your router. A lot of homeowners do not encrypt or protect their security cameras with passwords since — they would reason out — it is only for home use. Besides, to gain access to it, one would need access to the wireless network. And that is password-protected. That would be your first mistake since hackers can easily hack into your wireless network. Choose a strong password for your home security system and your wireless network. 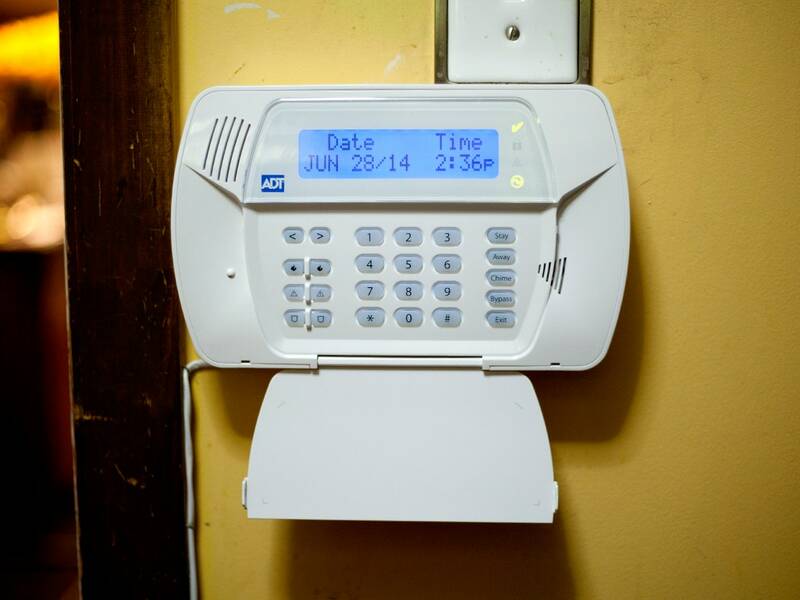 Choose a home security system with encrypted signals as well, as unsecured encryptions are obviously easy to access. Limit use of public WiFi. When you accessing your home security system outside your home, try not to use public WiFi as this can increase your system being hacked. Hackers typically use WiFi networks to hack into your phone or laptops, and from there can access your personal information — including the password of your home security system and email addresses and passwords. Update your camera’s firmware. And do this as much as possible. This fixes bugs on your home security system and — more importantly — adds security patches on your camera, making it harder for hackers to get into your system, at least for the time being. Put a firewall on your network as well, as you can prevent unauthorized access to your network and your devices. If you use your mobile phone to control your home security system, secure that, too. Always double check your camera logs. Your home security system has a feature that allows you to see the IP addresses of devices that checked your security camera. Always check this to see if there are suspicious entities on your log; this likely means someone already hacked into your system. If you find a suspicious entry on your log, change your passwords right away. If possible, contact the authorities as well. Change passwords regularly. This isn’t just one of the home security tips; it is a top tip for everyone usually gadgets connected to the internet. Change your passwords often to prevent hackers from guessing your passcodes. Avoid using names and places as password and do not incorporate personal information such as your name and birthday (this makes it easier to guess your passcodes). Reports say passphrases — and not passwords — are stronger and harder to crack, even by hackers who guess these codes by force using hacking programs. Learn how you can protect yourself and your family while at home at securitycompanies.co. Also, here are some additional security tips at https://www.tucsonaz.gov/files/police/home_security_booklet.pdf. If your home security system is connected to your internet, there’s a good chance it can be hacked. How do you protect it from hackers? Find out at securitycompanies.co.